It is a burning season across the British Empire. The month of May has seen days-long anti-German riots in major English cities, and today the Indian Ocean island of Ceylon erupts in majoritarian violence, too, albeit for different reasons. Known to us today as Sri Lanka, and roughly the same size as the American state of Indiana, Ceylon was a diverse patchwork of kingdoms in 1815 when the British Empire turned a coup against an unpopular South Indian prince into the Kandyan Convention, bringing the Chiefs of the Kandyan Kingdom under the Union Jack. 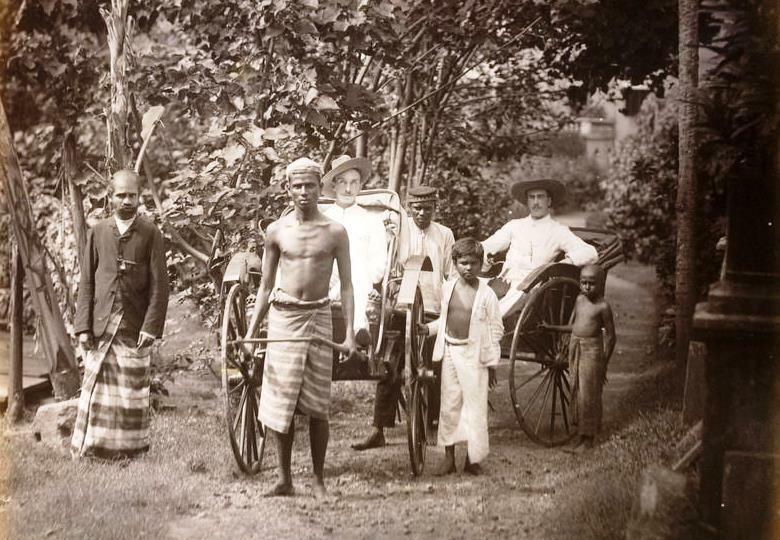 A century later, British rule is being tested like never before as communal violence rocks the island today. The Buddhists of Ceylon deeply value their religious parades (peraheras), especially the Diyakapana, a centuries-old procession of the Sacred Tooth Relic from its shrine in Kandy (see above) down Ambegamuwa Street to the banks of the Mahaweli Ganga River. 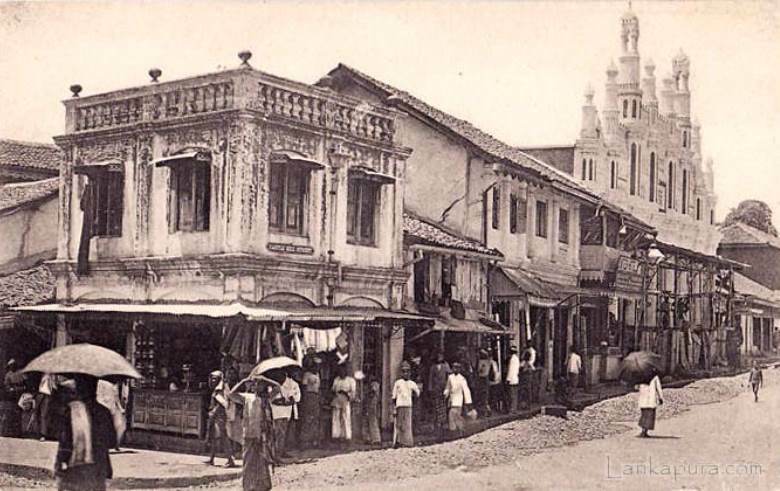 By 1913, this traditional ceremony for the Buddha’s alleged dental remains passed close to several mosques and churches, including a new one on Castle Hill Street belonging to the Hambayas, also known as the ‘Coastal Moors.’ Unlike Ceylonese Muslims, the Hambayas (literally, ‘boat people’) are foreign traders — Turks, Afghans, and Arabs — who came to the island along with Britain’s cosmopolitan empire in order to profit from its flourishing trade routes. Looked down upon by the local Muslim community, they do not intermarry with the islanders, and even keep separate mosques of their own. For three years, the Hambayas have fought a legal battle to stop the traditional Diyakapana participants from cheering, shouting, or playing drums and pipes as they pass their houses of worship — acts they see as disrespectful of their religion. In an attempt to reconcile competing interests, the British government agent marked a 100-foot zone around the Gampola mosque through which the parade would have to pass in silence. Arguing that the 1815 Convention guaranteed their right to conduct the perahera without interference, the Buddhist notables sued and won in the Kandy District Court, but the decision was reversed on appeal. To make matters worse, a Buddhist procession was attacked in January as it passed a Muslim village in January, and although police arrested the rioters, the Supreme Court’s unpopular decision was rendered on the same day as their hearing. The trustees have since taken their case to the Privy Council in faraway England, but the legal process is taking too long to head off a social disaster that has been building up for years. The trouble began with an unnecessary confrontation. Although the Castle Hill Street mosque was supposed to be closed at midnight, and the Diyakapana organizers had waited until nearly 1 AM on the Buddha’s birthday before marching past as they agreed to do, the first decorated wagon of the ‘Wesak’ perahera arrived to find the mosque still lit up for Friday night prayers — and the worshipers standing outside in the street. The police inspector accompanying the head of the parade wisely tried turning down a cross street to avoid any confrontation, but as the crowd of Hambayas began to jeer and clap their hands, the second float boldly continued along its intended route, bringing the rest of the column behind them. Moments later, rocks and bottles pelted the Buddhists from the second-story windows and roofs of the shops adjoining the mosque. Angry Buddhists began retaliating, whereupon the Hambayas began throwing food into the street. Although no one was killed, Inspector Cooray was unable to reestablish order with only a half-dozen policemen and had to contact headquarters for reinforcements. Arresting twenty-five men on charges of riot and housebreaking, he was finally able to restore order an hour after the riot began. By then, the Wesak parade was long gone, the streets were filled with broken glass, and the fuse had been lit. 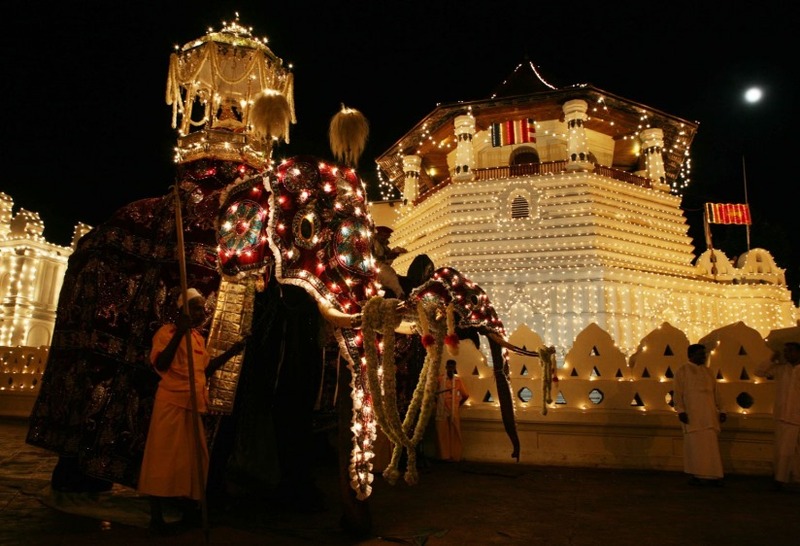 At dawn, rampant rumors of planned Muslim retribution against the Temple of the Tooth (Dalada Maligawa) brought huge crowds of Buddhist villagers streaming into Kandy to protect the most sacred relic of their religion. At about 8 PM, a throng of them were outside a prominent Hambaya trader’s establishment when someone fired a pistol from the upper floor, killing an 18 year-old Sinhalese servant from a nearby girls’ college. When the harried and badly-outnumbered police failed to arrest the shooter immediately, the crowd turned ugly and angry, breaking the store open to dump its contents on the street and set them on fire. 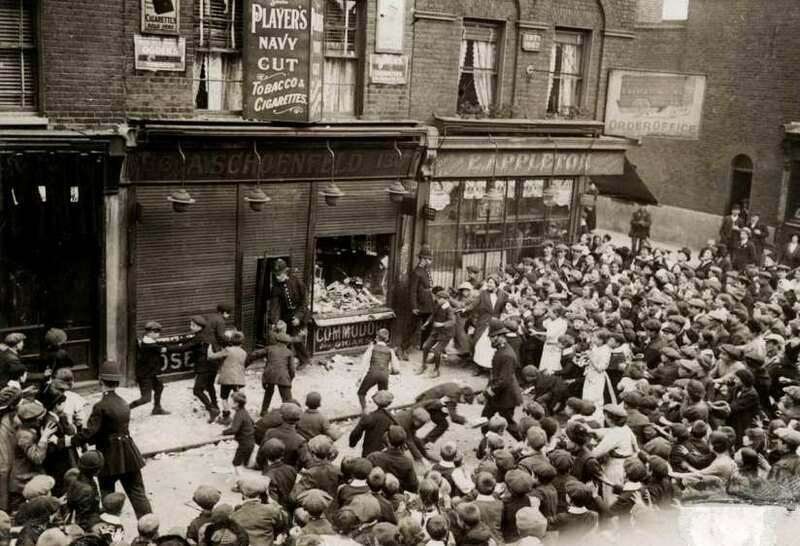 Momentarily losing all fear of consequences, the mob moved to attack a nearby jeweler’s store and other shops, smashing windows until a platoon of constables arrived to restore order. Dispatched the day before, a detachment of Punjabi soldiers arrived the next morning. But Mr. Vaughan, the British Government Agent in charge of Kandy, refused to address the crowd even though another altercation had ended in a stabbing death. As a result, Kandy was deceptively calm while falsehoods and rumors spread from the town, electrifying Sinhalese Buddhists all around the island. Kandy is not unique in having insufficient and incompetent police forces, either — a major shortcoming of British administration. So the British authorities are startled today as a series of riots begins to shake much of Ceylon just as the situation in Kandy appears to have ended. “The peaceful Sinhalese have at last shown that they can no longer bear the insults of the alien,” writes the usually-nonviolent Anagarika Dharmapal months later. “The whole nation in one day has risen against the Moor people.” By the 6th of June, when the violence finally peters out, thirty-five Muslims have been killed and 198 injured; 86 mosques are damaged, and more than four thousand stores and other businesses have been looted. Foreshadowing the joyous excesses of Sri Lankan communal violence seen decades later during the Tamil-Sinhalese conflict, these victims of lynching are usually stripped naked and beaten to death, and at least four women are raped. Buddhist rioters make no distinction between Hambayas and other Muslims, either, attacking all in kind. Underlining the chauvinism and rampant xenophobia at the heart of the violence, seventeen Christian churches are burned to the ground, too. 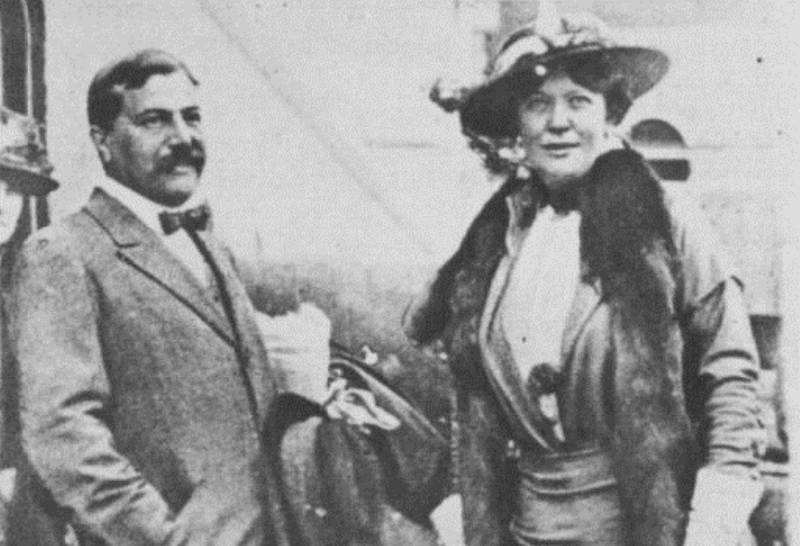 These events prompt parliamentary questions about German involvement, a not-unreasonable suspicion given the role of Turkish agents and German-backed Hindu nationalists in the recent Singapore Mutiny. Agents of the Central Powers have also stirred unrest in Oman and elsewhere. Convinced that these events are a rebellion against British rule, Governor Sir Robert Chalmers will declare martial law on June 2nd, engaging thereafter in high-handed tactics that further infuriate the Ceylonese Buddhists. Moving quickly and harshly, military authorities arrest prominent Sinhalese men and search their homes on mere suspicion. 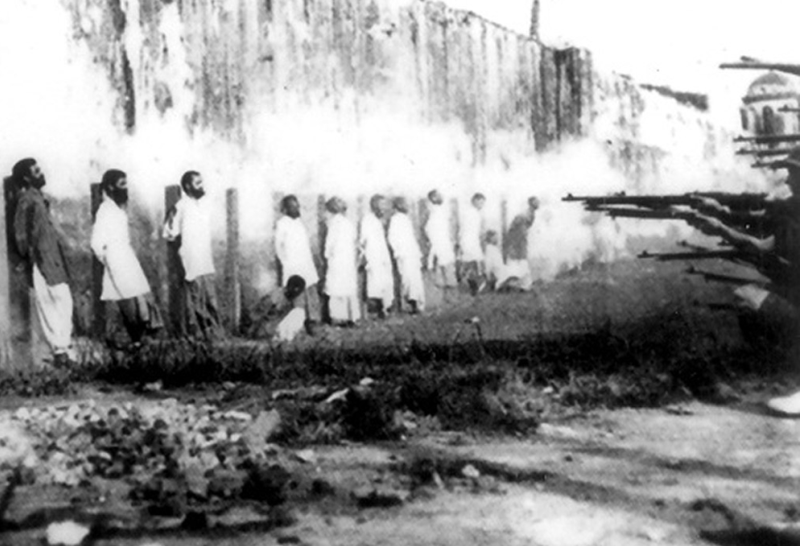 Soldiers shoot alleged rioters on sight, while several more Sinhalese are executed by firing squad at Welikade Prison. Buddhist communities are ordered to compensate the affected Muslim communities. Soon, martial law has replaced immigration as the chief object of resentment. In these circumstances, the most important voices of the Sinhalese community ought to be the ones calling for moderation and coexistence. But in another prologue to the sad future horrors of Sri Lanka, their words of conciliation are drowned out by the raging of zealots. Though most of the violence taking place here in the 20th Century will be ethnic in nature, and not sectarian, the Ceylon Riots of 1915 have established a depressing and all too-familiar pattern.